::: Why is the CEO of Pandora Arguing Against Free Music? Written by Mathew Ingram — It’s all about trying to play nice with the record labels. Music industry executives—especially those from record labels—frequently complain about the rise of free streaming-music services and how they’re responsible for killing their businesses. But it’s odd to see the CEO of a music service argue that the model his company was built on has not only stopped being good, but is now actively bad. In a nutshell, McAndrews says that free, on-demand music was great when it was called radio, because that was a simpler time. People could listen to unlimited amounts of free music, and that helped musicians, artists—and record labels—because it helped record and concert ticket sales. But now, a digital version of that same phenomenon is bad. Why? Because, according to the Pandora CEO, the profusion of free streaming services such as Spotify, Apple Music, and Google Play Music creates a “grey market” in which people can listen to music forever without ever needing to pay for it. It requires superhuman effort to write an entire post about the downside of free and never mention that this is exactly what made it possible for your company to exist. But somehow McAndrews manages it. 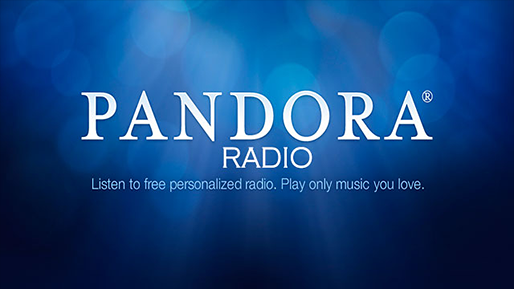 Pandora founded its business on free, ad-supported music, and it continues to represent a large proportion of what the company does. In fact, part of the reason the Pandora hired McAndrews was CEO was his background in ad technology, through a company called aQuantive. And that ad-supported model—which is fundamentally identical to radio—has been criticized heavily by music industry executives who believe Pandora has gotten away with paying too little because it is an online radio station. Without going into all the details, Pandora has been able to pay less than other streaming services because it is a “non-interactive service” like radio, and therefore it is covered by what is called a “compulsory license.” That’s why it was able to play Adele’s latest album without her permission. Over the past year, however, Pandora has been trying hard to reinvent its business, and the route it is taking helps explain the CEO’s odd anti-free argument. The bottom line is that advertising doesn’t generating enough revenue for the company. As a result, it is trying to imitate competitors like Spotify. Pandora’s recent $75 million acquisition of Rdio, another streaming service, is part of that process. To work, this evolution requires a very different attitude towards the music industry. In the past, Pandora has thumbed its nose at record labels because a regulator set the prices for what radio stations pay for music. But if it wants to be like Spotify, then it has to curry favor with the labels and cut favorable deals for access to their music. Seen in that light, McAndrews’ op-ed piece arguing for the end of unlimited free music makes a lot more sense. He’s saying to the music industry: “Hey, we’re both on the same side, let’s play ball! We’ll cut off some of the free listeners if you are willing to deal on the music we want.” The labels have also been putting pressure on Spotify to do the same, according to some reports. The broader sub-text, of course, is that the record labels and music publishers are the ones who control the online streaming-music industry fate, since they are the ones who set the prices. And at least so far, they have made it virtually impossible for anyone to make money doing it: Rdio, for example, was estimated to be losing $2 million monthly before it declared bankruptcy and its assets acquired. Whether McAndrews’ olive branch to the record labels is accepted remains to be seen. But the future of Pandora doesn’t just rest on whether the company can successfully change its business model—it requires the entire streaming music business to change along with it. And that’s a much tougher assignment.